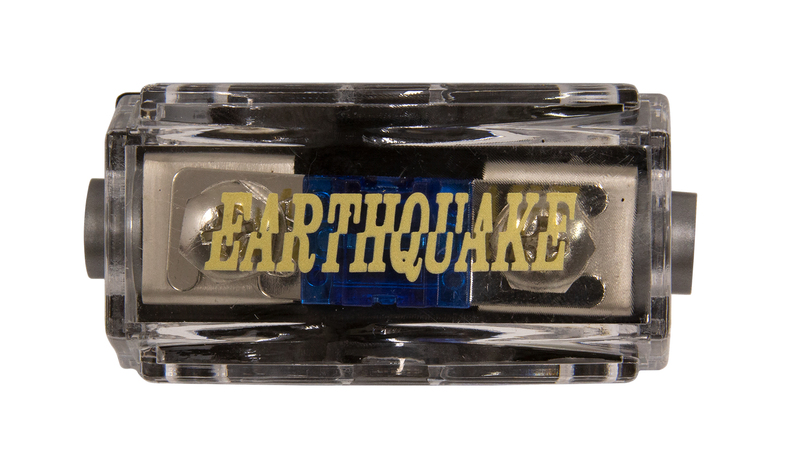 MiNi D1000.4 2nd Gen - Earthquake Sound Corp.
Earthquake Sound would like to introduce to you the newest member to the MiNi D series of car amplifiers. The all new MiNi D1000.4 (Gen 2) stands with the rest of the MiNi D family as being one of our most efficient Class D amps ever made; running extremely cool as it delivers unbelievable power while maintaining a super-compact size. 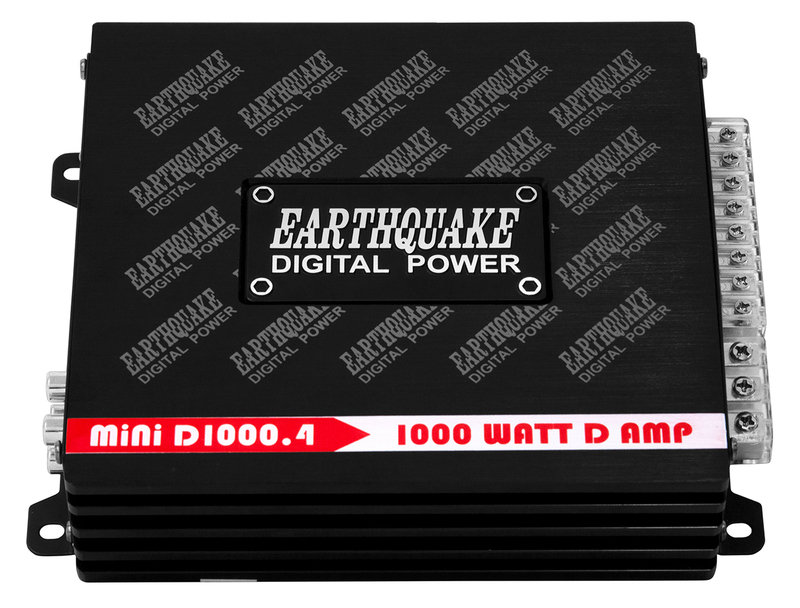 With the MiNi D1000.4 being less than 2-inches tall, this amplifier can be installed into incredibly small spaces (under the seat, behind the back seat, motorcycles, ATV's etc.) allowing you to preserve that valuable storage space in your vehicle. 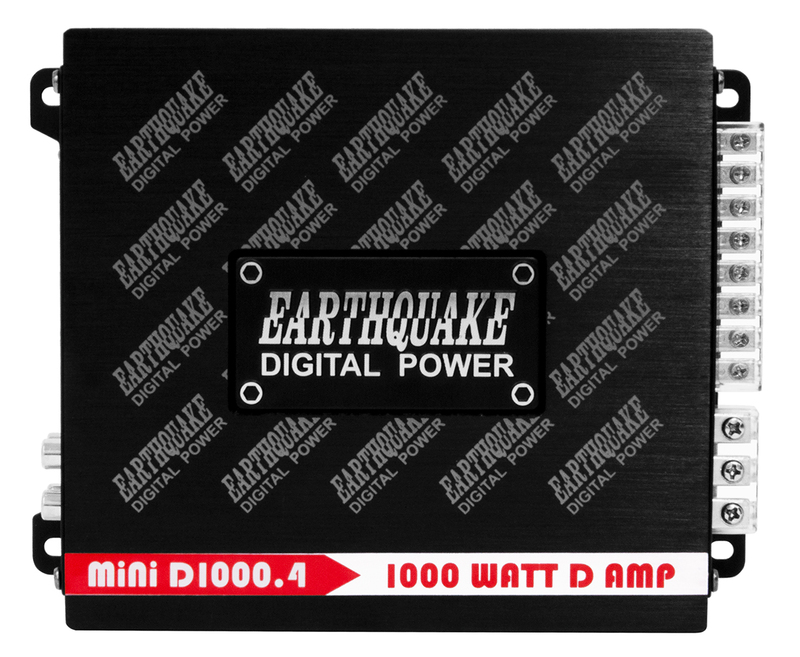 With the new MiNi D1000.4 you will get immense power for your install while maximizing space and efficiency.